NEW YORK (AP) — Motorola is broadening the use of its Razr brand to a family of smartphones in its first major product launch under new owner Google. The $99 Razr M will be in stores next week. 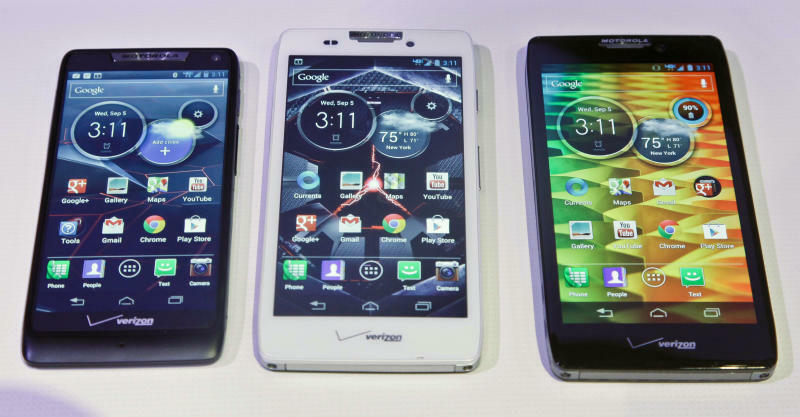 Motorola is following up with the launch of two high-end models, the Razr HD and Razr Maxx HD, later this year. It's emphasizing long battery life — up to 21 hours of talk time for the Maxx HD, or 10 hours of video streaming. The new phones will run on Google's Android operating system. It will ship with an older version, Ice Cream Sandwich, and can be upgraded later to the latest one, Jelly Bean. Google's stock fell 32 cents to close Wednesday at $680.72.